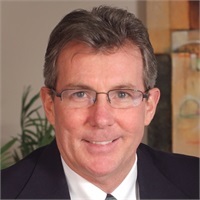 John McGourty joined Commonwealth Financial Group as an advisor in 2009. Since then, he has grown to specialize in helping to create security for families and business owners who desire the best of life in retirement. As a consumer of family and business financial services, he has experienced the critical value in working with professionals who provide holistic solutions. Prior to CFG, John founded a hi-tech manufacturer’s rep firm, Micro Plus, Inc. from 1985-2008. John has his Life Underwriter Training Council Fellow (LUTCF), Certified Long Term Care (CLTC), and Certified Family Business Specialist (CFBS) designations. He graduated with a degree in Economics from the College of the Holy Cross. John currently lives in Westborough, MA with his wife and children where he is a member of WASA, enjoys playing hockey, walking their three dogs, and spending time with family.